Rochester community leader Jean Kase joins Chloe Capital to drive growth among women entrepreneurs and investors. Kickoff women-only pitch event December 4, 2018 in Rochester, NY! Things are changing for women in the startup and venture capital world – and a network of women in Upstate NY have stepped forward to join the movement. According to Pitchbook, all-women teams received just 2 percent of the $85 billion total invested by venture capitalists last year. All-male teams received roughly 79 percent. While there’s still no single definite answer behind the gap, female founders point to the lack of female VCs. The silver lining is that the world has started to take notice of this inequality, and more leaders have emerged to champion the effort to decrease the gender gap in entrepreneurship and venture capital. Last year, three Upstate NY women tech-trepreneurs (Elisa Miller-Out, Kathryn Cartini and Erica O’Brian) launched Chloe Capital, a venture capital firm with a mission to invest in women entrepreneurs, and increase the pipeline of women investors. 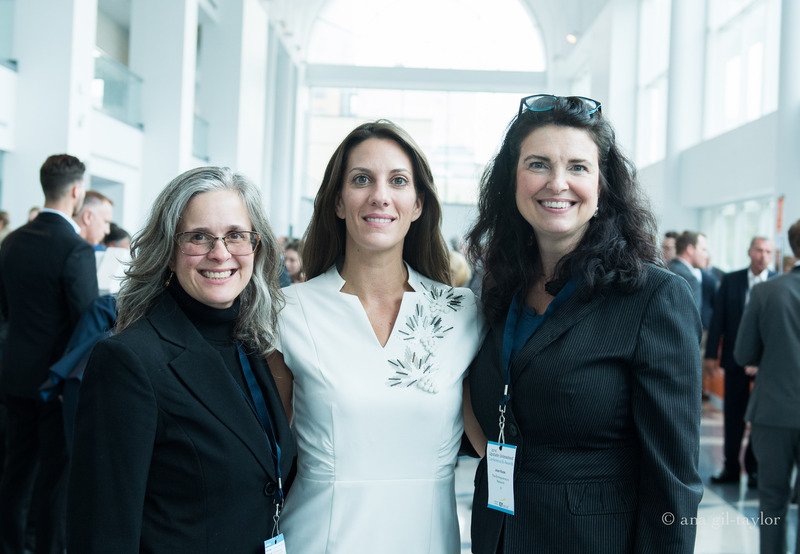 Chloe Capital debuted with a Women’s Investor Accelerator that united investors with world-class women leaders in angel investing and venture capital for three days of learning and community building. Five women-led innovation companies were also invited to pitch their ventures for funding. Monroe County and Imagine Monroe understand the importance that innovation based economic development and its positive impact on wages and job creation in other sectors. Their commitment is solidified by putting funding in place to drive this strategy. Jean Kase, Executive Director of The Entrepreneurs Network (TEN) plays a strategic role connecting people and resources in the entrepreneurial ecosystem. Jean is a member of the Rochester Angel Network (RAN) and supported Chloe Capital’s accelerator for investors from the onset. Jean has recruited and mentored hundreds of startups founders and owners of scalable businesses throughout her career. In these roles, having witnessed the gender gap first hand, Jean was enthusiastic about collaborating with an Upstate vc firm catalyzing solutions to the problem. She joined Chloe Capital as an inaugural investor, and became a member of the firm’s Board of Directors earlier this year. Inspired by the movement, Jean helped TEN launch the first Women’s Business Accelerator in Upstate NY. This exclusive experience for women started in September. The program’s focus is to drive profitability, and help scale companies focused on selling products and services beyond the Finger Lakes Region. “The Entrepreneurs Network is an intense program that helps entrepreneurs build scalable companies through a proven curriculum, experienced coaching and powerful connections,” said Kase. “Out of over 20 successful cohorts, this is our first accelerator solely for women. Chloe Capital partners Elisa Miller-Out and Kathryn Cartini will participate in TEN’s business accelerator for women entrepreneurs as mentors, speakers and judges. The Entrepreneurs Network, powered by Imagine Monroe, is leading the Rochester collaboration with Chloe Capital. Activities include a pitch event for women-led companies, and unique workshops designed for women investors and male allies. Five women-led innovation companies will be selected out of an applicant pool of 1000 startups. Each will pitch their venture live to a panel of investors, who represent capital providers committed to gender parity in entrepreneurship. Tickets to the event are on sale now at CHLOESrochester.eventbrite.com. Prior to the pitch event, investors will be invited to a full day of enrichment programming. Participants will receive insight on how to find deals, the power of building community and the ins and outs of term sheets. Accredited investors can apply for the workshop at chloecapital.com/tour. Chloe Capital will venture forward on its National Tour throughout 2019. Pitch events and investor workshops will be held in Boston, MA (January 11), Denver, CO (February 7), Chicago, IL (April 4) and Binghamton, NY (May 1). Frontier tech companies will have the opportunity to pitch for funding and connections to our network of advisors, investors and business pros -> view startup application details. Sponsors will gain regional and national visibility. Investors will receive returns and insight on how to pay it forward. Together we’ll all further the movement to decrease the gender gap in entrepreneurship.